The Codman Synergy Malis features a unique patented waveform with reduced charring/sticking and extended forcep life. Lessens the occurrence of charring or sticking and extends the forceps’ life. When used with CODMAN non-stick Mirror Finish Bipolar Forceps, charring or sticking is virtually eliminated. Ultra-low output impedance permits smooth, progressive coagulation of Vessels in either dry, bloody or irrigated fields. 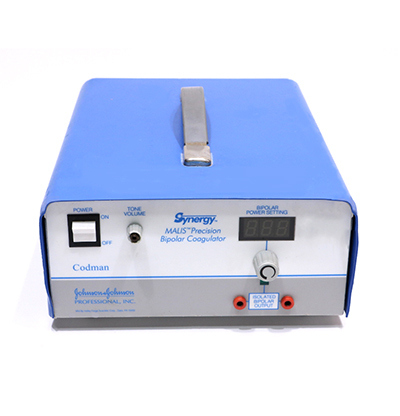 The SYNERGY Coagulator provides power to the surgeon with the ability to deliver2-150 MALIS units equivalent to 0.045-50 watts (same as the MALIS CMC-III). Progressive and smooth coagulation, with no premature reduction of power and therefore, a more secure seal. Its lightweight, yet rugged, design can stand up to demands of room-to-room transportation. 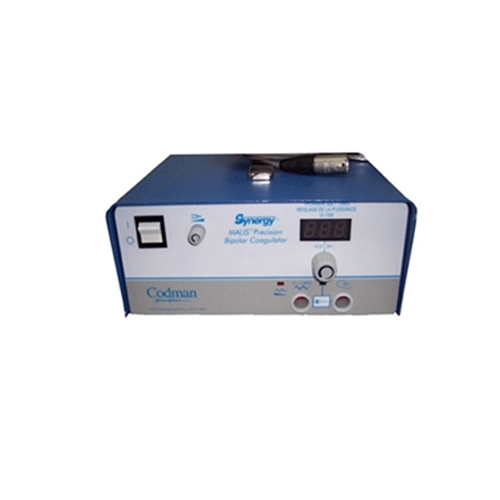 Its compact size take-up a minimal amount of space in today’s crowded operating rooms. The single knob control eliminates confusion. The digital output setting is clear and easy to use. Conveniently connects to the irrigator module for automatic Irrigation during coagulation. Questions about our Electrosurgical Units (ESU)? 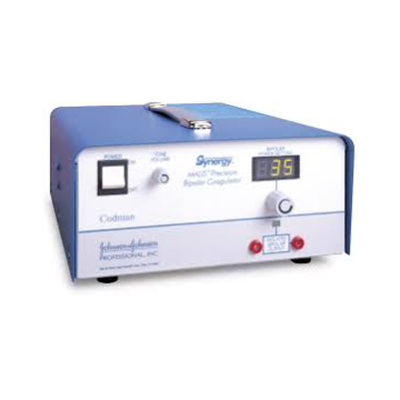 Soma Technology, Inc offers a wide range of Electrosurgical Units. If you have any questions about any of our ESUs or need a quick quote, call 1-800-GET-SOMA and one of our knowledgeable sales representatives will help you.